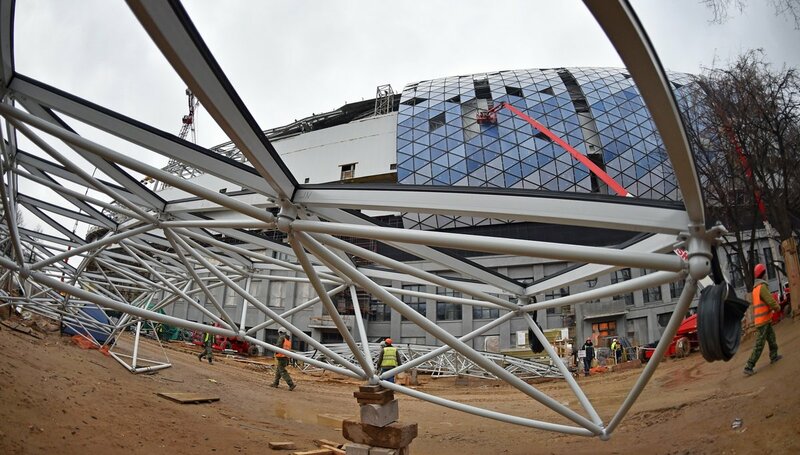 The new VTB Arena, future home of Dynamo Moskva, was initially scheduled for opening on October 22, a month ago. That's of course the birthday of Lev Yashin, legendary goalkeeper of Dynamo. 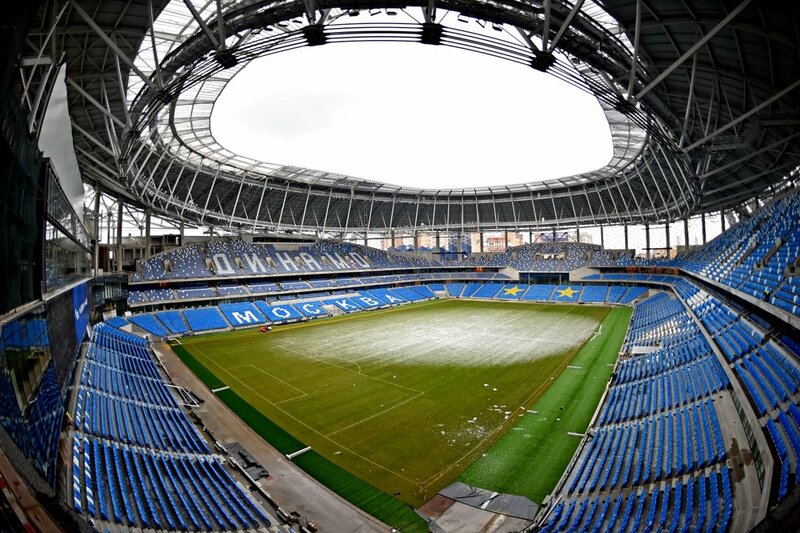 While no inauguration was possible, a community day for players and fans of Dynamo was held at the stadium. Now the delivery date is set for April of next year, while the first official game has been scheduled for June 5. 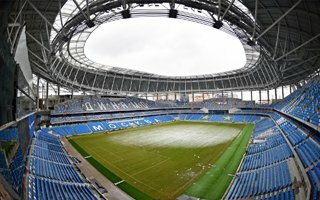 That's when Russia will play their very last friendly game before the 2018 World Cup, presumably against Italy, the biggest team absent from next year's tournament. By June the stadium will surely be ready. In fact, it's almost complete as we speak. 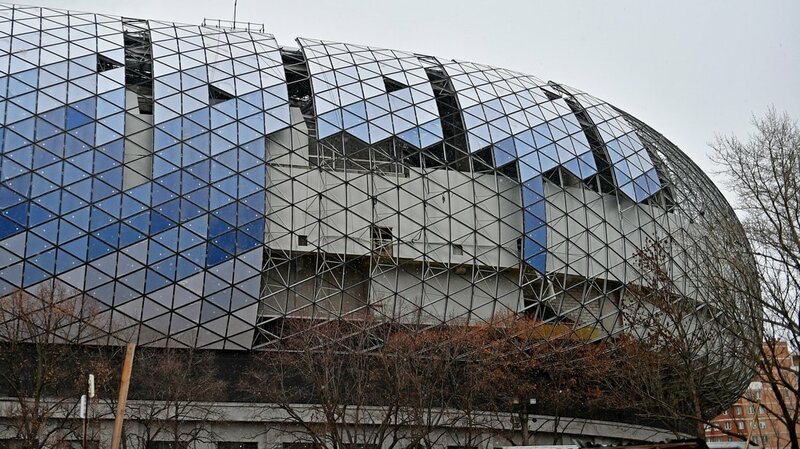 Final works on cladding of the roof are ongoing on the inner perimeter of the building, at the height of 55 meters. For a stadium of 26,000+ that's very high but you get the idea where the height comes from when you realise that the field is 10 meters above ground level! Yes, it's elevated in order to accommodate a shopping centre, underground parking and the future museum of Dynamo, among other facilities. Currently the future museum hosts an unusual display, a number of reliefs from the historical facade of the stadium. Keep in mind, the football and hockey arenas, as well as all commercial spaces, are being created within the monument-listed walls built back in 1928. Above these walls a new, futuristic bowl is shaping up. 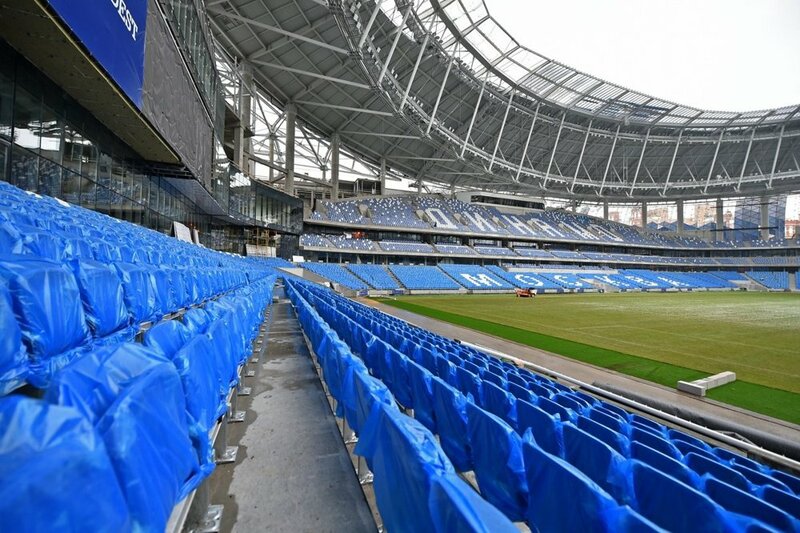 Covered in blue and white 'diamonds' of polycarbonate cladding, the stadium will have Dynamo's colour instead of initially-planned gold. Inside, the stands are complete and equipped with 26,319 seats, while the field's irrigation awaits first tests. Everything would be going as planned at the stadium if not for one particular issue. The building has no heating or hot water, which might prove problematic ahead of upcoming winter. While keeping workers warm is possible by other means, the problem has to be solved as soon as possible.